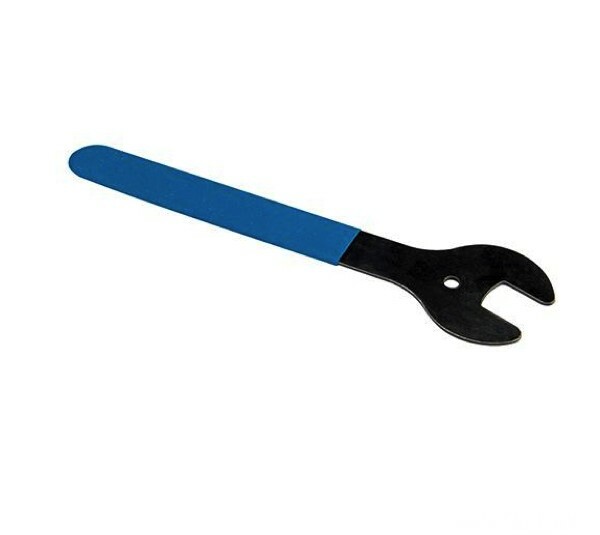 Brand New 15MM Pedal Spanner Hardened and tempered tool steel. Narrow jaw fits most pedal flats. Long, vinyl-dipped handle provides extra torque and grip. Hanging hole for storage.